Do you guys have scarves that are just stacked in your closet waiting to be worn again? Scarves are one of the most versatile accessory which can be used in styling clothes and hair. 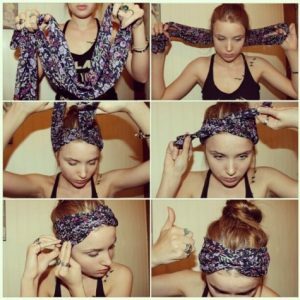 Wondering how to tie a headscarf on your own? 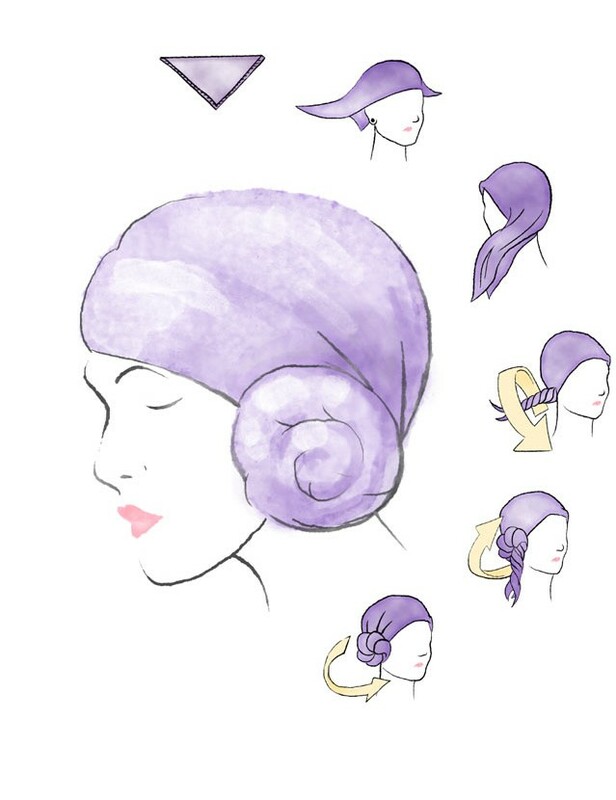 From Retro to Boho, there are unique looks you can create with a scarf, and many styles help keep your hair out of your face on a bad hair day.You can wear these styles with your natural hair down, or up in a messy bun. 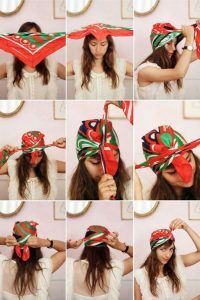 Make sure to read up on How to tie a Hermes Scarf ! Knotted, twisted or tied, you can do so much with a scarf to accessorize your hair. So take out those gorgeous silky scarves, to make a simple yet elegant head wrap. This is one of the most popular retro style of the ’60s and ’70s inspired scarf band. Very easy to accomplish, this look works well in long and short hair, the only key being that you’ll want to keep your bangs or two sections in the front of your hair forward of the band. Fold a wide scarf, longways into a thin one and wrap it around your hairline. Simply, tie off the scarf at the nape of your neck. Pull the end of the scarf to one side of your neck so you can see it when you look straight into the mirror. Tie the ends into a bow for a cute look. Tying a turban headband is easy and suits all hair length. Use quirky prints and scarves to sport a Boho look. Fold a square scarf into a triangle. 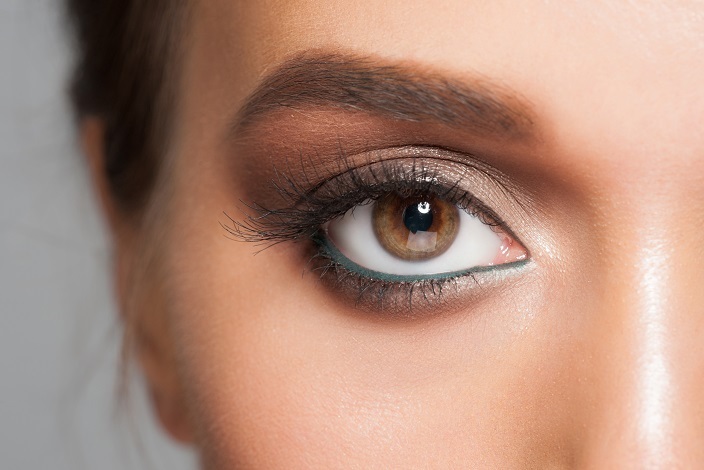 Drape it over your head, keeping the long loose edge of the triangle across forehead. Take the two ends pf the scarf back to the nape of neck. 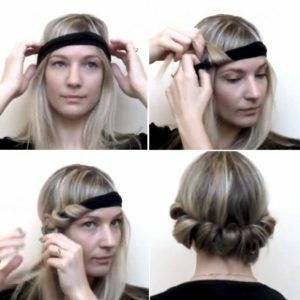 Tie a single knot and secure your hair within neatly under the headband. Bring the ends back up to forehead and tie a small square knot to create the turban look. Wear turban headbands made of satin, printed silk or knit scarves to get that chic look. 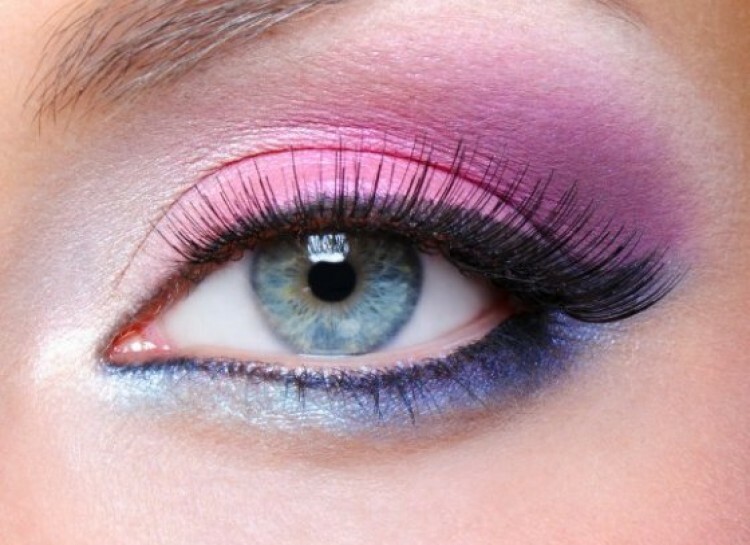 An ideal style to combat the summer heat and get a trendy look for natural hair. This involves easy folding and tying techniques which is a quick DIY hack to take care of your tresses on a hot summer day. You can wear the style for casual outings and beat the heat with your hair tied. Wrap a wide scarf covering your forehead. Join the loose ends of the scarf by tying them at the back of the head. Not only is this look stylish and adorable, it helps keep you cool in the summer humidity, and provides a lovely method helps you in curling your hair without heat. 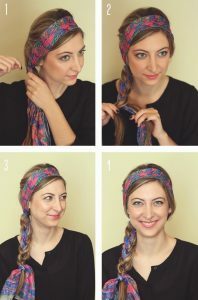 Take small sections of hair and wrap them from the front to the back, around your scarf. 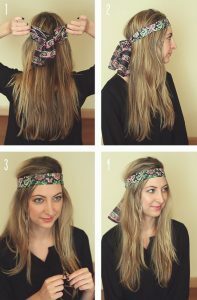 A fun and casual bohemian headband style perfect for a music festival or a lazy spring day. Make a bun or a pony tail. This one is a simple one yet will add a retro look to your hairstyle. Using solid colored scarves for this method will compliment your dress. Wrap a long scarf around your hairline. Use the scarf or a hair tie to hold the braid at the end. This method is quite similar to tying the scarf in Arabic Style. 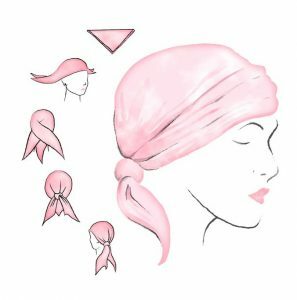 Men and women both may try this easy head wrap tutorial. 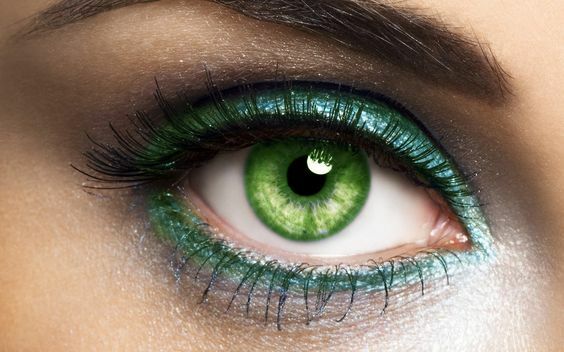 It’s also quite useful for cancer patients undergoing chemotherapy. Fold a square scarf diagonally in half to create a triangle. Fold the ends towards the back of your head and tie them once (do not make a knot). Bring the loose ends back toward the front of your head/face and tie them at the forehead. Fold the square scarf into a triangle. 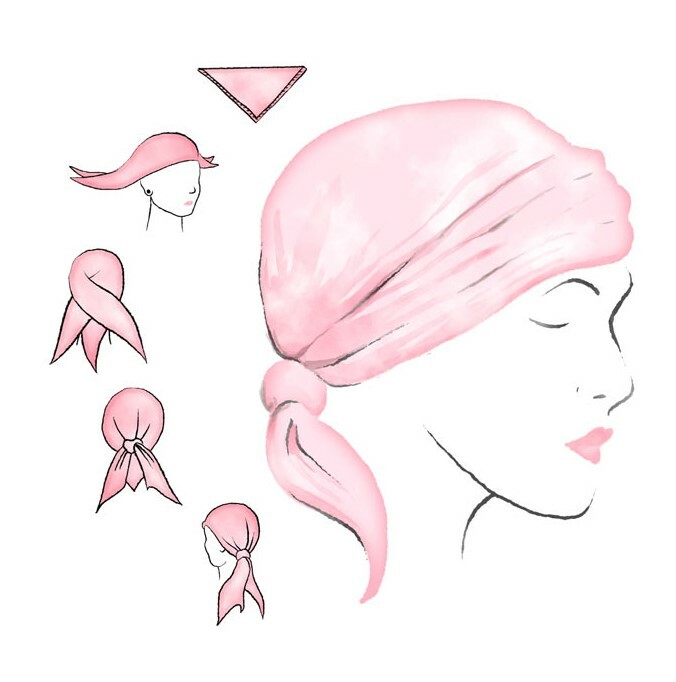 Drape the scarf over your head with the lone edge of the triangle across your forehead. Grab the two scarf edges on either side of your face and bring them around to the back of your head. Tie the ends together at the back of your neck using granny knot or square knot. For a dressier look tie the loose ends into a bow. The bow can be worn at the sides or the back. Place the folded face of the scarf to your forehead. Position and gather all loose ends. Twist the ends together in a spiral. With a spiral, create a bun to form your Rosette. You can keep the Rosette sideways on on top as per your choice. There are numerous ways you can style your scarf. 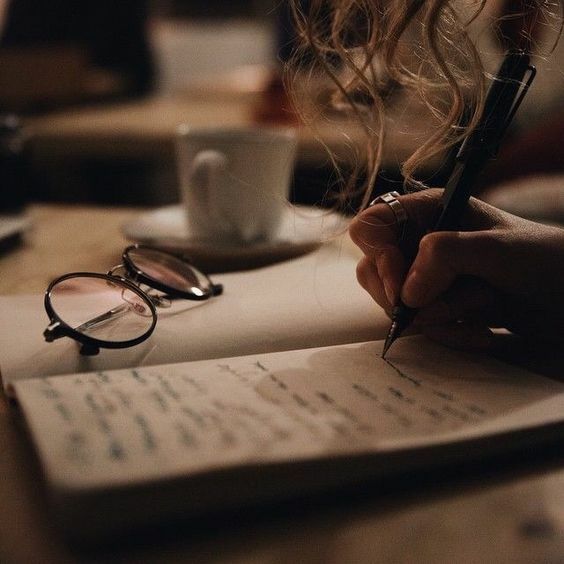 Please share your patterns and styles with us in the comment section below.